A quick update, as we've touched upon Evince recently. I mentioned that we switched from using external tools for decompression to using libarchive. That's not the whole truth, as we switched to using libarchive for CBZ, CB7 and the infamous CBT, but used a copy/paste version of unarr to support RAR files, as libarchive support lacks some needed features. We hope to eventually remove the internal copy of unarr, but, as a stop-gap, that allowed us to start supporting CBR comics out of the box, and it's always a good thing when you have one less non-free package to grab from somewhere to access your media. Both features will appear in GNOME 3.26, the out-of-the-box CBR support is however available now in an update for the just released Fedora 26. @GodTributes took over my title, soz. Last year, probably as a distraction from doing anything else, or maybe because I was asked, I started reviewing bugs filed as a result of automated flaw discovery tools (from Coverity to UBSan via fuzzers) being run on gdk-pixbuf. Apart from the security implications of a good number of those problems, there was also the annoyance of having a busted image file bring down your file manager, your desktop, or even an app that opened a file chooser either because it was broken, or because the image loader for that format didn't check for the sanity of memory allocations. the removal of GdkPixdata as a stand-alone image format loader. We really don't want to load GdkPixdata files from sources other than generated sources or embedded data structures, and removing that loader closed off those avenues. We still ended up fixing a fair number of naive assumptions in helper functions though. 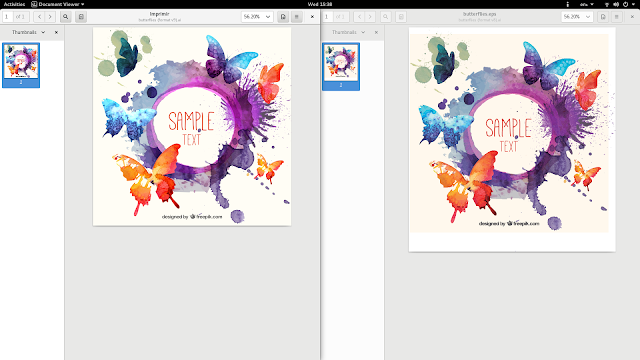 the addition of a thumbnailer for gdk-pixbuf supported images. Images would not be special-cased any more in gnome-desktop's thumbnailing code, making the file manager, the file chooser and anything else navigating directories full of broken and huge images more reliable. But that's just the start. gdk-pixbuf continues getting bug fixes, and we carry on checking for overflows, underflows and just flows, breaks and beats in general. Picture, if you will, a website making you download garbage files from the Internet, the ROM dump of a NES cartridge that wasn't properly blown on and digital comic books that you definitely definitely paid for. That's a nice summary of the security bugs foisted upon GNOME in past year or so, even if, thankfully, we were ahead of the curve in terms of fixing those issues (the GStreamer NSF decoder bug was removed in 2013, the comics backend in evince was rewritten over a period of 2 years and committed in March 2017). Still, 2 pieces of code were running on pretty much every file downloaded, on purpose or not, from the Internet: Tracker's indexers and the file manager's thumbnailers. Tracker started protecting itself not long after the NSF vulnerability, even if recent versions of GStreamer weren't vulnerable, as we mentioned. That left the thumbnailers. Some of those are first party, like the gdk-pixbuf, and those offered by core applications (Evince, Videos), written by GNOME developers (yours truly for both epub/mobi and Nintendo DS). They're all good quality code I'd vouch for (having written or maintained quite a few of them), but they can rely on third-party libraries (say GStreamer, poppler, or libarchive), have naive or insufficiently defensive code (gdk-pixbuf loaders, GStreamer plugins) or, worst of all: THIRD-PARTY EXTENSIONS. There are external plugins and extensions for image formats in gdk-pixbuf, for video and audio formats in GStreamer, and for thumbnailers pretty much anywhere. We can't control those, but the least we can do when they explode in a wet mess is make sure that the toilet door is closed. For GNOME 3.26 (and today in git master), the thumbnailer stall will be doubly bolted by a Bubblewrap sandbox and a seccomp blacklist. This closes a whole vector of attack for the GNOME Desktop, but doesn't mean we're completely out of the woods. We'll need to carry on maintaining and fixing security bugs in those libraries and tools we depend on, as GStreamer plugin bugs still affect Videos, gdk-pixbuf bugs still affect Photos and Eye Of Gnome, etc. And there are limits to what those 2 changes can achieve. The sandboxing and syscall blacklisting avoids those thumbnailers writing anything but an image file in PNG format in a specific directory. There's no network, the filename of the original file is hidden and sanitised, but the thumbnailer could still create a crafted PNG file, and the sandbox doesn't work inside a sandbox! So no protection if the application running the thumbnailer is inside Flatpak. GNOME 3.26 will have better security for thumbnailers, so you won't "need to delete GNOME Files". But you'll probably want to be careful with desktops that forked our thumbnailing code, namely Cinnamon and MATE, which don't implement those security features. The next step for the thumbnailers will be beefing up our protection against greedy thumbnailers (in terms of CPU and memory usage), and sharing the code better between thumbnailers. Note for later, more images of cute animals. While my colleagues are working on mice that shine in all kinds of different colours, I went towards the old school. For around 10 units of currency, you should be able to find the uDraw tablet for the PlayStation 3, the drawing tablet that brought down a company. 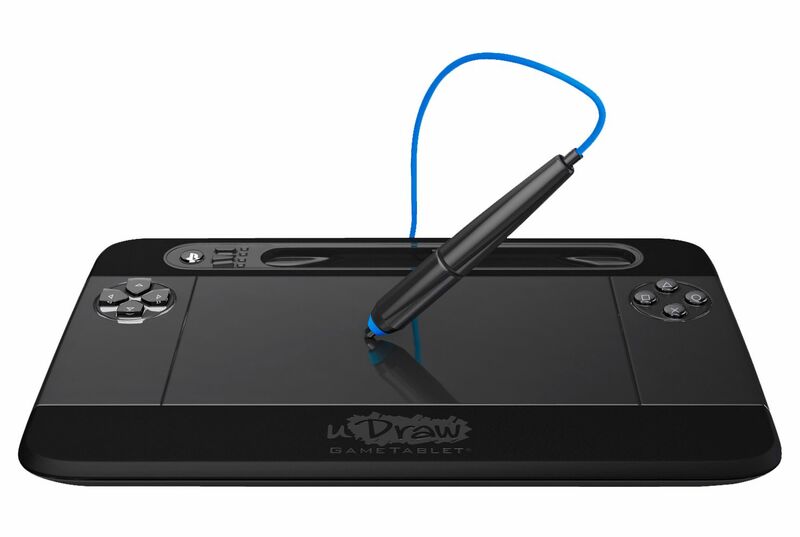 The device contains a large touchpad which can report one or two touches, for right-clicking (as long as the fingers aren't too close), a pen interface which will make the cheapest of the cheapest Wacom tablets feel like a professional tool from 30 years in the future, a 4-button joypad (plus Start/Select/PS) with the controls either side of the device, and an accelerometer to play Marble Madness with. The driver landed in kernel 4.10. Note that it only supports the PlayStation 3 version of the tablet, as the Wii and XBox 360 versions require receivers that aren't part of the package. Here, a USB dongle should be provided. Recommended for: point'n'click adventure games, set-top box menu navigation. The second driver landed in kernel 4.12, and is a primer for more work to be done. This driver adds support for the Retrode 2's joypad adapters. 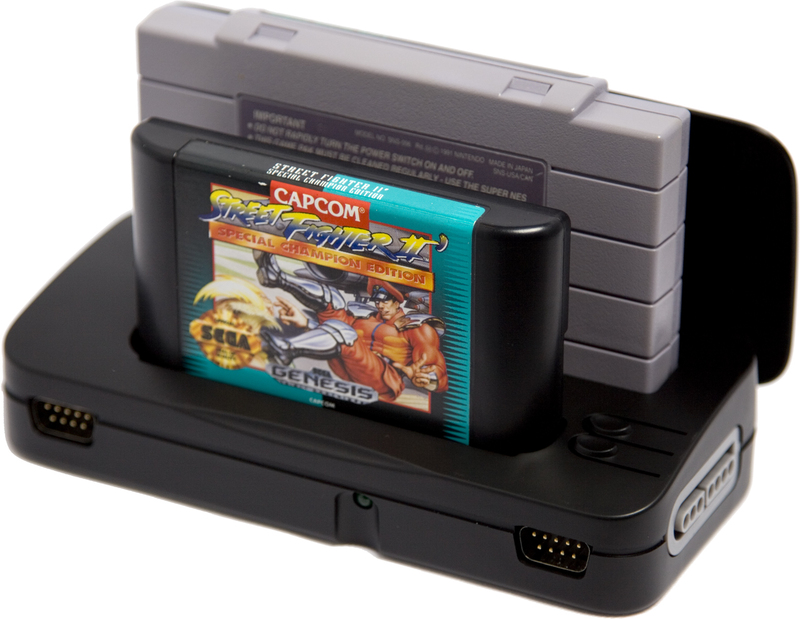 The Retrode is a USB console cartridge reader which makes Sega Mega Drive (aka Genesis) and Super Nintendo (aka Super Famicom) cartridges show up as files on a mass storage devices in your computer. It also has 4 connectors for original joypads which the aforementioned driver now splits up and labels, so you know which is which, as well as making the mouse work out of the box. I'd still recommend picking up the newer optical model of that mouse, from Hyperkin. Moving a mouse with a ball in it is like weighing a mobile phone from that same era. I will let you inspect the add-ons for the device, like support for additional Nintendo 64 pads and cartridges, and Game Boy/GB Color/GB Advance, and Sega Master System adapters. Recommended for: cartridge-based retro games, obviously. Integrated firmware updates, and better integration with Games is in the plans.